With the new school year in full swing, it’s a good time to emphasize the importance of parent involvement. This is the time to make a resolution to actively engage in your children’s education. One of the easiest and most accessible ways is to join and become active in the PTA. Do you think PTA is synonymous with bake sales? We know that research indicates that students whose parents are actively involved in their schools have better grades, attendance, behavior, and graduation rates. But PTA membership is a personal investment you make not only for your child, but for yourself too. Many opportunities await you at your next PTA meeting. Advocating for a worthwhile mission, having a positive impact on your schools, and supporting amazing events for students are the obvious benefits of PTA involvement. But I have also witnessed more subtle perks that may come to active parents. 1. Volunteer and get access. Being an active PTA member gives you legitimate reasons to have input and to be in your children’s school during the school day. For example, do you want to have a say in booking a children’s author, a play or a music or science program for your children’s school? Then join your PTA’s cultural arts committee. You will work closely with your principal and teachers to plan enriching events that PTA fundraising supports. As a member of the committee, you will be able to attend programs to assess their success. By becoming a known quantity to school staff, you will get a birds-eye view of what’s going on and principal, faculty and staff will know you by name. This will come in handy should you ever have a question or concern. Similarly, you may be asked for your perspective as a parent when issues occur. It’s sort of like the classic Peter Sellers movie, Being There. Because you are there, you may become a go-to parent. 2. Contribute and make friends. You will meet like-minded parents who have children of comparable ages, with whom you will share similar concerns, goals, and hopes for your children. You will form close friendships and you will help one another through the sharing of ideas. If you are new to an area or your first child is starting school, PTA is a good place to meet people. 3. Give and receive much more. PTA provides you with a wonderful outlet and platform for your passions. For example, if you are passionate about healthy eating, you can join the PTA’s health and wellness committee, and exert influence not only on the school lunch program, but also on classroom practices, such as giving candy for rewards. If you are a parent of a child with special needs, you are probably already a strong advocate for special education. It is essential that you join SEPTA, Special Education PTA. There you will meet like-minded parents and professionals who will provide you with a support network, cutting edge information and strategies to help your child succeed. You will have the benefit of attending presentations by outside experts. And you will be able to forge positive relationships with district special education administrators, who attend SEPTA meetings. This will give you easy access to these professionals, should you have questions or concerns. You will reap enormous benefits if you rise to the highest levels of PTA leadership. 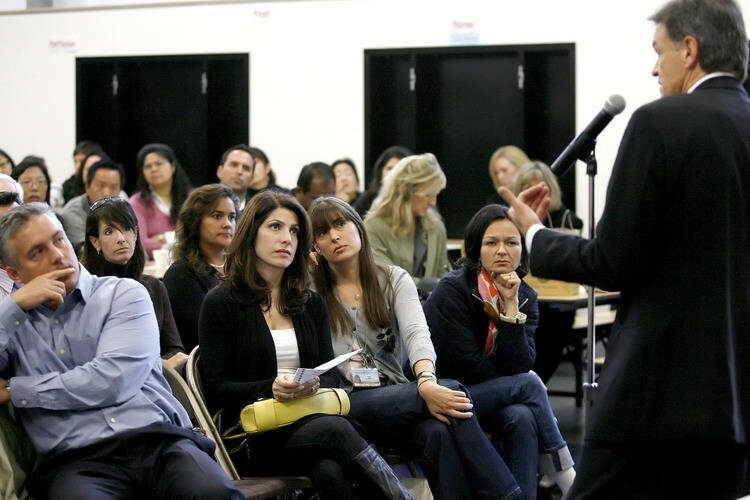 If you are the PTA president of your school or a member of your District PTA Council, you will meet with your Superintendent of Schools on a regular basis. He or she will update you on news, issues and problems and ask for your support. If you are a person who likes to be in the know, you will be informed of everything from district accomplishments to drug busts. You will have the information first and will be the one to share it with your members. The superintendent will also solicit your opinion and may ask for you to poll your members on various issues, such as proposed budget cuts. As a key stakeholder, you may also be asked to serve on interview committees, citizens’ advisory committees, and task forces. The superintendent may also recruit you to help plan district-wide events, and to request that PTA help sponsor them. 5. Hone your skills and show what you can do. The more you give of yourself and the more you hone your skills, the more valuable you will become to your PTA, your school, your district and community. The seeds you plant may bear fruit in unexpected ways. Is your main job CEO of your household for the foreseeable future? Then why not put your accounting expertise to work as a treasurer? Or use your organizing skills to plan events? Utilizing your background and experience can help close gaps in your resume. Continue to dazzle everyone with your generous contribution of your talent, time and energy, and your volunteer experience could lead to paid employment! This is Teacher Appreciation Week, and for me it evokes a floodgate of thoughts on teaching and learning. For one thing, Teacher Recognition Day — as the single day dedicated to teachers used to be called – coincided with my first big success at school. I was in the third grade and my teacher was Mrs. Briggs, a large, smiley, cherubic woman who clearly loved her students, their parents – and teaching! She gave us an assignment to write something about Teacher Recognition Day. I whipped up a poem and I could see from Mrs. Briggs’s beaming face that it was a winner. She had me share it with the class, then she shared it with the other teachers – and it was even published in the school newspaper! It’s not at all surprising that my double ambition to be a teacher and a writer began back in the third grade. Shortly after my poetry success, my father went back to school to become a teacher. 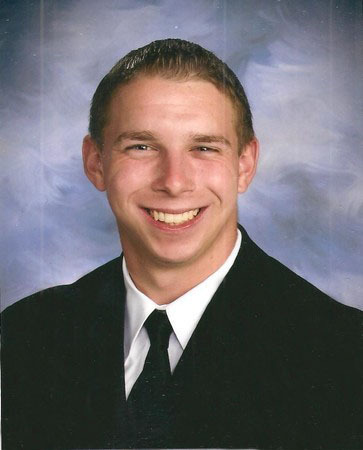 He eventually landed a job teaching fourth grade in a school with many disadvantaged children. A number of his students were immigrants and knew very little English. I was fascinated as we sat at the dinner table and he told us how, for example, he had taught Pedro how to say, “I have to go to the bathroom,” in English. He then proceeded to teach my brother and me how to say it in Spanish. Later as a principal, he was instrumental in bringing a breakfast program into his school because he realized early on that kids couldn’t learn if they were hungry. My father, as a teacher and as a principal, was my inspiration not only for my own career in education, but for my doctoral dissertation. It studied how caring principals promote a culture that enables children to succeed. As a lover of current events, politics, and history, I got my Master’s Degree in teaching social studies from Columbia Teachers College. The department faculty there was inspirational and truly excited about teaching. We learned about the inquiry method – where students were given the tools to be social scientists and construct their own knowledge from original sources. Sound familiar? Years later, this same method was dubbed DBQ – Dated Based Questions. I couldn’t wait to try out all the wonderful things my teachers at TC taught me. I hit the jackpot when I was hired to teach American History and Government at Schreiber High School in Port Washington, NY. My colleagues were on the cutting edge of educational theory and practice; together we brainstormed, discussed, and created our own teaching materials. It was wonderful to teach social studies. But we all knew that we weren’t just teaching a subject; we were teaching young people. To be successful, we needed to know where our students were coming from, and we made it our business to find out. We hung out with students during our free periods, we talked to other teachers and guidance counselors, and we were in touch with parents. The administrators were visible and accessible to students and staff. In other words, we cared about kids. In my dissertation, I studied principals who promoted an ethos of caring in their schools – principals who consistently went above and beyond to meet the needs of children, and to meet the needs of teachers and parents as well. Not surprisingly, these principals built faculties of caring teachers. Later, as an administrator, I verified time and again the conclusions of my dissertation. What matters most in schools is a caring environment, which addresses the needs of every child. Those are the schools where students are most successful. All of the current emphasis on standardized testing totally misses the mark. Teachers need to be able to meet the varying needs of their students, and exercise their creativity, judgment, and professional expertise. There is not a magic bullet for education that can be imposed from the outside. Caring teachers, led by caring principals, have been and continue to be the solution. More than a half-century later, I still remember the poem that I wrote for Teacher Recognition Day, and I am still writing and learning! 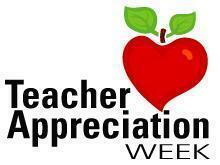 Thank you to all my teachers and my colleagues! 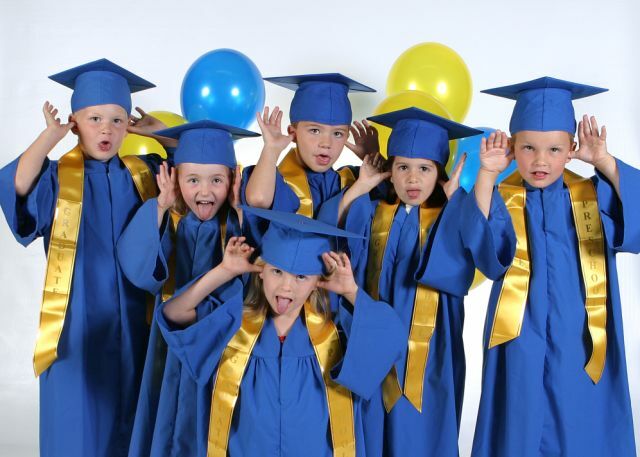 Kindergarten Redshirting – Smart Strategy or Educational Quackery? The practice of parents waiting until their children are 6 to enroll them in kindergarten has become so widespread that CBS’ 60 Minutes has taken note. Parents who follow this practice told correspondent Morley Safer that it gives their child a competitive advantage over their younger classmates – both academically and on the sports field. Safer said studies showed that boys are twice as likely to be held back by their parents as girls, whites more than minorities, and rich more than the poor. The concept is taken from college sports, where athletes will practice with the team for the first year but sit out competition while they get bigger, stronger, and more competitive. In Malcolm Gladwell’s book, Outliers, he shows that a disproportionate number of successful young hockey players in Canada were born earlier in the year, and the effect continues all the way up to the National Hockey League. Age appropriateness is something I’ve pondered since my mother told me that I had “missed the deadline” for kindergarten by three weeks. I don’t know whether I would have done as well in elementary school if I had not missed the cut-off and started kindergarten a year earlier, but I know that I did well enough to qualify later for the “Special Progress” class in junior high school, which enabled students to complete three years of junior high in two. Terrible idea! I have long believed that essentially skipping eighth grade erased whatever edge I had and wreaked havoc on my self-confidence. But that’s an indictment of being pushed ahead, not being held back. My two oldest sons have August and October birthdays, while the third was born in March. Did my third child appear to have an advantage when he entered kindergarten? Absolutely! But I don’t know if that was due to his early birthday or being raised in a family with older siblings. Redshirting was not an option back then, but my father, who was an elementary school principal, was of the opinion that early advantages generally equalized by third grade. I have found this to be true. Redshirting clearly needs more study, but what disturbs me is the motivation behind it. Parents say they are leveling the playing field for their children, but what they are doing is creating an unfair playing field for the other kids who are age appropriate for their grade. And before their children even start school, they are setting up a competition with other students. Kids should be competing with themselves, encouraged to be the best they can be, not constantly looking over their shoulder at others. Schools should also be equipped to differentiate instruction, being able to meet the needs of varying individuals with different learning styles. The decision of whether or not to hold a child back from kindergarten should be based on the individual youngster’s social, emotional, and academic needs and development, not on a parent-instigated race with other kids. Parents know their children best, and should also take into account what the child will be doing if he/she is not in kindergarten. Here, parents with resources have a clear advantage in providing alternative educational experiences. While teachers are happy when children enter kindergarten knowing letters and numbers, they do not want you to drill your child. Kindergarten teachers look for their students to have readiness skills; these are the building blocks that will enable your child to love learning and to succeed in school. You can prepare your child with readiness skills through his/her daily activities. Does your child approach learning enthusiastically and is he curious? Is she eager to explore, discover, and ask questions? Point out your child’s surroundings, including flowers, trees, birds, people, etc., and take time to encourage and answer her questions. Hand-in-hand with curiosity and discovery go language skills. Help your child build his vocabulary by giving him words and descriptions as he observes and experiences his surroundings. 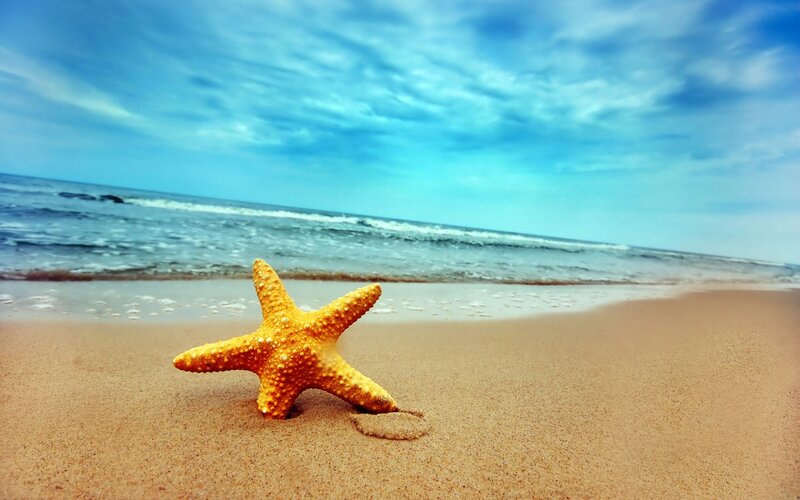 Additionally, activities, such as visits to the beach, park, beach, children’s museum, or zoo, present many opportunities for you to help him develop language skills. Kindergarten teachers will be pleased if your child has the ability to listen. Read to your child every day, and engage her by asking questions about the book. Besides nurturing vocabulary and comprehension, reading develops the listening skills necessary in a kindergarten classroom. Encouraging your child to take care of himself will prepare him for kindergarten. For example, although it’s easier to hang up your son’s coat yourself, his kindergarten teacher will want your child to do it. She cannot take off the boots and hang up the coats of 25 students. Help your child to become ready for school by teaching him to do such tasks as going to the bathroom himself and washing his hands, and opening up a juice box and putting the straw in. Perhaps if he attends pre-school, he has already mastered these skills. Kindergarten is about socialization, so help your child get ready by encouraging him to share, take turns, and understand the rights, space, and feelings of others. It’s important for kindergarten students to have good eye-hand coordination. 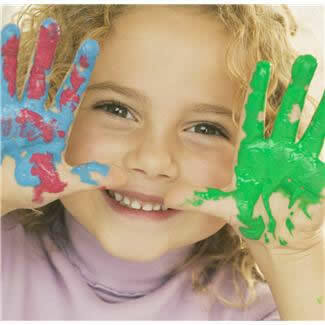 Many kindergarten activities involve coloring, cutting, pasting, and writing with a pencil. Playing with clay or Play-Doh, writing, coloring, painting, pasting, and stringing beads are examples of activities that will get your child ready for kindergarten. Kindergarten teachers will teach their students how to write and recognize letter sounds. But they are happy when their students come to school knowing how to count to 10, and know shapes and colors. If your child attends pre-school, this is usually well covered there. contributor to Long Island Parent Magazine. 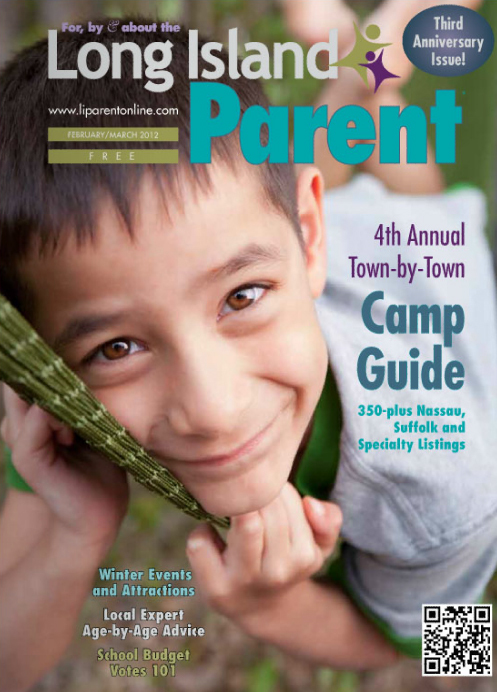 Published by Liza Burby, it is a wonderful resource for parents as it addresses issues of concern to parents on Long Island and beyond. My first article, What You Need to Know About Your School District Budget, provides tips about how to navigate the budget process in your school districts. 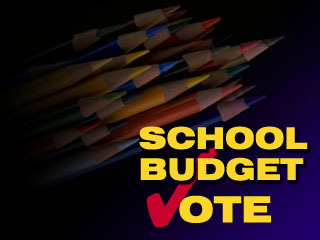 Know your school district’s budget calendar, which will give you a list of meetings and topics. Check your district’s website for information, and read budget brochures that are mailed to your home. Read the fine print so you will understand if your children’s school experience will be impacted. Keep up with local media reports of budget meetings. Know when and where Board of Education meetings are held, attend them, and feel free to voice your opinion during the public participation part of the meeting. Know the names, phone numbers, and e-mail addresses of the Board of Education members and the District Clerk. If you are upset by a proposed cut, you may circulate petitions to the board, discuss the topic at PTA meetings, write letters to the board and to the newspapers, and come to board meetings en masse. Remember to vote. If you will be out of town you may request an absentee ballot. Check with the District Clerk for information about absentee ballots, polling places and voting hours. To read the full article, go to http://liparentonline.com/features3.html. In addition to the print version, I will be writing a monthly online column, Ask the Education Expert, on the Long Island Parent website. There I will be answering questions submitted by readers. In the current column, I discuss parent concerns related to kindergarten registration and readiness. Take a look at http://liparentonline.com/ask-the-school-expert.html. Email your questions to me at youreducationdoctor@youreducationdoctor.com and check out LI Parent online for the answers each month.